A splendid seaside city that proves luxury and affordability for whatever taste you desire. With beaches, restaurants, markets and museums, there truly is something for everyone. Nice was very nice, as they say. A beach town in south of France with full of life, culture, beach and seafood. Beautiful views and very nice delicious food and amazing sunset by the beach. Nice has to be my favourite city of the Côte d'Azur. There truly is a little bit for everyone. Foodies will enjoy roaming the colourful streets of the Old Town, whilst Trendsters will take delight in the high-end shopping streets. Nightlife lovers, History Buffs and Art lovers will also find something for them. Add to that the gorgeous sparkling mediterranean and colourful architecture - you have yourself the perfect getaway. I strongly recommend booking a holiday rental with www.sunlightproperties.com - for the flexibility and high quality standard. They have something for every taste and budget. Works out much cheaper than a hotel, especially if travelling in groups. The largest city in the Côte d'Azur, Nice is often used as just a transit point to the beaches further west or to Provence. To simply pass through is a mistake. Those who visit will find a charming old town, fantastic market, and relaxing beach clubs where you can easily pass a day listening to the rattle of the rocks against the surf as you sip rosé. Fête de la Musique is one of my favorite times to visit -- the old town really comes to life with music and the Niçois are natural bon vivants. The July 14th attack has put a damper on tourism but don't let fear keep you away. Prices are down and you'll have more of the city to yourself. 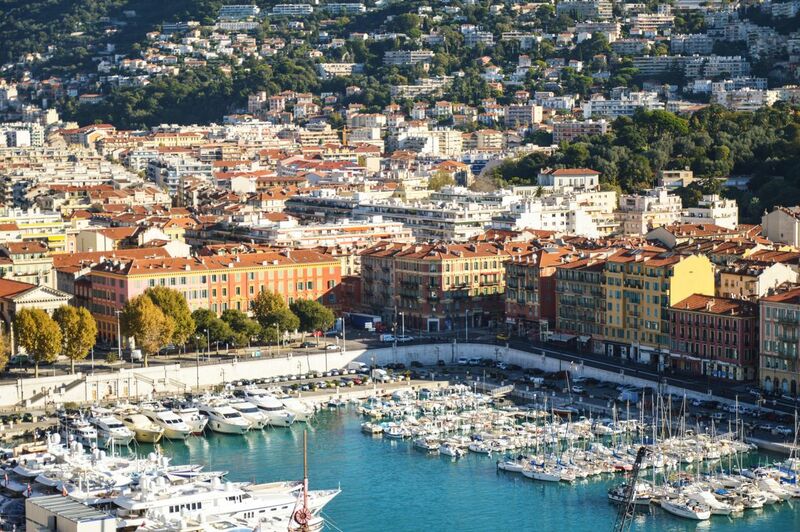 Nice is a perfect place to stay for exploring the French Riviera as long as sandy beaches are not high on your list. The rocky shore and blue ocean are gorgeous to gaze upon. Restaurants and shops of wide variety are on offer. Transportation east and west and into the interior are easy. The mild dry climate make for perfect days for a visitor.